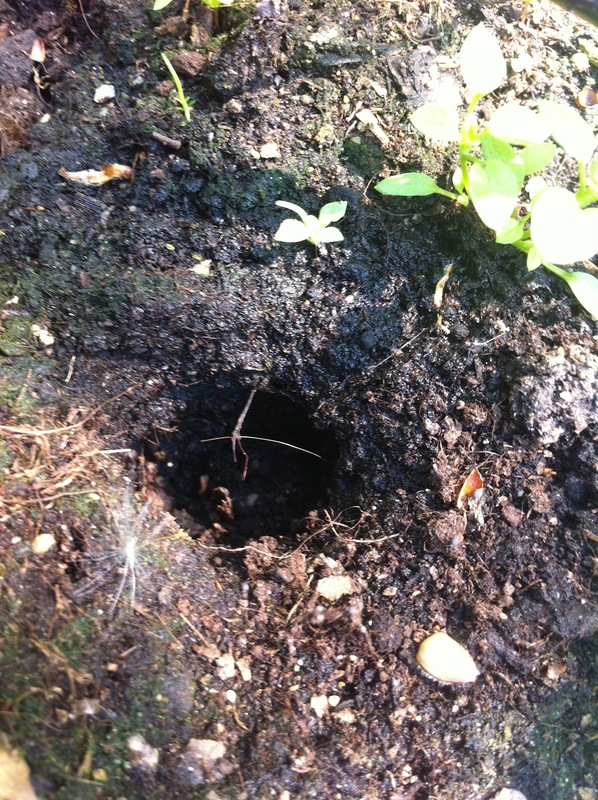 Swapping the city lights for rural Sweden: Who's digging holes in my raised beds? I've been so pleased with my kitchen garden this year. Not only is it looking productive, neat & tidy and relatively weed-free (apart from the ones I'm allowing to grow, such as borage and poppies), but I'm also hoping it's going to be really pretty this year! However. Someone has been messing with me. A few days ago, having skipped joyfully down to admire my artwork, I was devastated to find lots of little mouse-sized potholes all over the peas & flowers bed! :'( They'd even dug up several nasturtiums, I think they'd been having a munch on the roots. My newly planted broccoli plants were completely annihilated. I didn't take any photos of the pothole damage because I just got started repairing it all straight away. I have spotted several field mice hopping and skipping about down there among me veg, but we also have a LOT of birds, living in the woods as we do. In particular a noisy, but beautiful, male pheasant that struts around the garden almost every day, as well as lots and lots of pigeons.